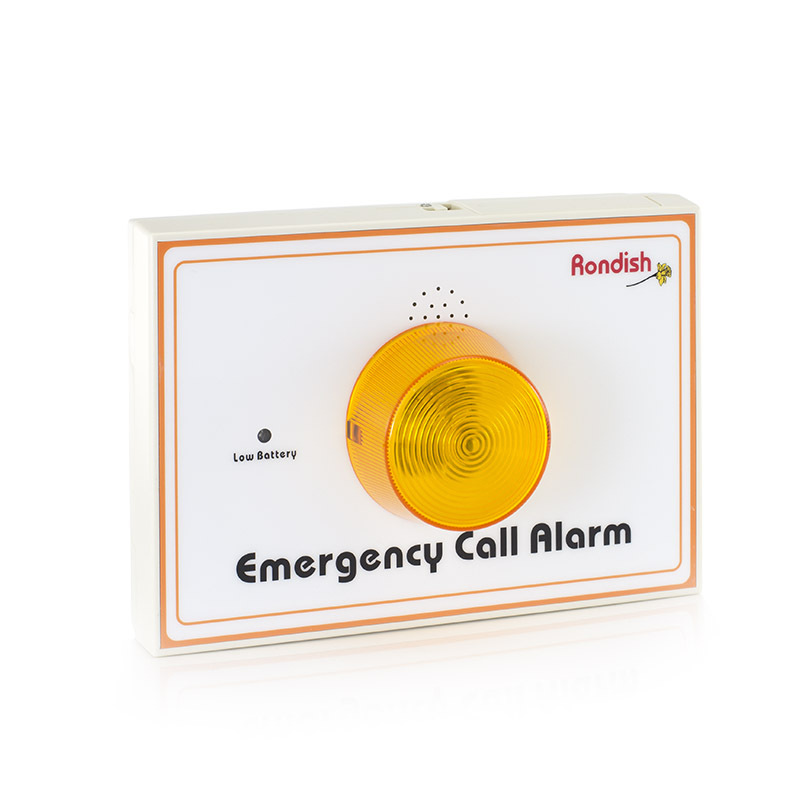 Wireless nurse call alarm transmitter for use with the Rondish Disabled Toilet Alarm System. Waterproof and battery operated, it allows user to easily alert carer if assistance is required. For best results, this item should be used with the Medpage range of products listed here. Tick any item to add it to your purchase. If you are disabled, it can be difficult to always alert a carer if you require assistance, particularly when using the toilet. This can be dangerous if you or your loved one are in urgent need of assistance, for example if they have had a fall, but are unable to contact someone who can help. The Pull Cord Transmitter is a wireless nurse call alarm transmitter designed with this in mind. 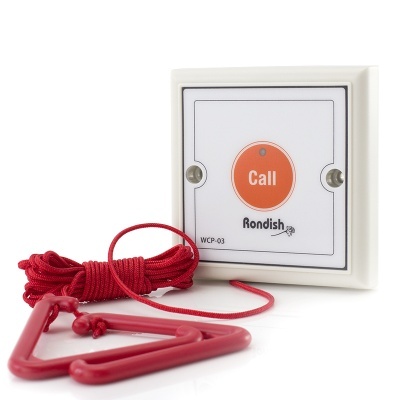 Suitable for use in the home, whether this is in your toilet, bathroom or lounge, it connects to your Rondish Wireless Pull Cord Disabled Toilet Alarm to improve communication between a patient and carer. With the Pull Cord Transmitter, you can help ensure the safety of your home and the well-being of your loved ones. How Does the Pull Cord Transmitter Work? Simply set up your pull cord in the desired location: installation is simple, and usually takes under ten minutes to be ready to use. Then, if the patient pulls on the cord, the transmitter will send a radio signal to the existing Strobe Light Alarm. This will emit a visual or audible signal to alert the carer that their assistance is required. All system parts are battery operated so you can avoid confusing wires and won't need professional installation. 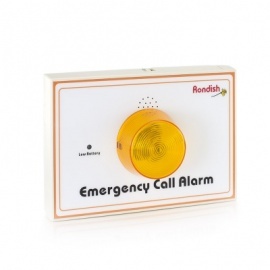 Additional alarm for the Rondish Wireless Disabled Bathroom Alarm Kit. Emits audible and visual signal when emergency cord is pulled. Enables you to have more than one alarm throughout your home. Reset Button for use with the Pull Cord Transmitter in the Rondish Wireless Pull Cord Alarm System. Allows carer to monitor multiple bathrooms, ideal for use in care homes. 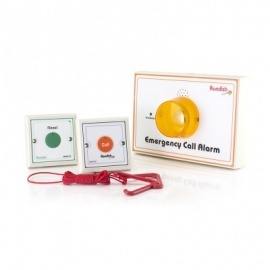 Wireless pull cord call alarm system, ideal for the elderly or disabled when using the bathroom. Easy to set up, it delivers both an audible and visual alarm to alert a carer if assistance is needed.